Cortisol is called the “stress hormone” because it is secreted during times of fear or stress, whenever your body goes into the fight or flight response. Cortisol is made in your adrenals and our modern lifestyle puts constant demands on our adrenal glands. The adrenal glands of a healthy person produce about 20mg of cortisol each day which may increase to 200mg a day during periods of stress. It has been estimated that 80% of adults suffer from some sort of adrenal fatigue. In the constant state of stress so commonplace today, cortisol creates chronic to severe inflammation that eventually causes premature ageing, cancer and leads to an earlier death. Cortisol suppresses another important hormone, DHEA, the “youth” hormone. Cortisol causes blood sugar to elevate and this then leads to an acidic blood condition. Acidic blood leads to the modern life-style epidemics we see today like diabetes, heart disease and cancer. Although stress isn’t the only reason that cortisol is secreted into the bloodstream, it has been termed “the stress hormone” because it’s also secreted in higher levels during the body’s ‘fight or flight’ response to stress, and is responsible for several stress-related changes in the body. 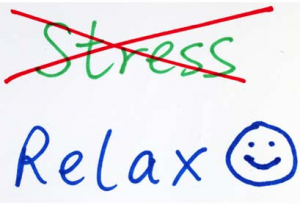 While cortisol is an important and helpful part of the body’s response to stress, it’s important that the body’s relaxation response is activated so the body’s functions can return to normal following a stressful event. 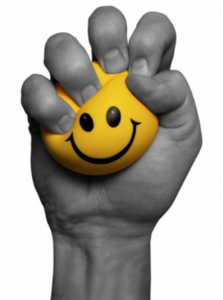 Unfortunately, in our current high-stress culture, the body’s stress response is activated so often that the body doesn’t always have a chance to return to normal, resulting in a state of chronic stress. Cortisol levels rise and fall throughout the day, for instance, highest levels are experienced early in the morning, and cortisol levels begin to taper off as the day continues and the lowest levels are found at night. Cortisol levels may vary during the day depending on your lifestyle. 1. Excess Caffeine intake. It’s best to consume coffee before 12:00pm every day as the Cortisol levels are at their peak during this duration. 2. Insomnia or sleep deprivation. Since Cortisol levels fall to their lowest after 10:00pm, your inability to sleep well at night on a regular basis, could trigger elevated levels of Cortisol hormone. 3. Prolonged sessions of exercise. Extensive and continuous sessions of physical exercise later in the day have been known to elevate levels of Cortisol in your body. Your body releases higher amounts of Cortisol in order to maintain the level of blood glucose in your blood. 4. Hypo-oestrogenism in post-menopausal females. Hypo-oestrogenism as well as intake of melatonin supplements has been known to elevate Cortisol levels in women who have already experience menopause. 5. Commuting long distances regularly. It has also been observed that commuting distances that require a lot of effort (long distances especially) can lead to increased levels of Cortisol. Additionally, certain medications affect levels of cortisol. Women who take oestrogen or birth control pills are expected to have higher cortisol test results. Conversely, drugs such as androgens and phenytoin decrease cortisol levels. The first stage, which is called “The Alarm “stage or the stage of acute Sensitivity and is characterised by abnormally high cortisol levels and high DHEA levels. Common symptoms are poor sleep, sugar cravings, confusion, weight gain, hot flushes, water retention, glucose intolerance, anxiety, increased blood pressure, and increased heart rate. Cortisol also decreases serotonin and melatonin levels which may cause depression and insomnia, respectively. It is also an immunosuppressive which may result in a compromised immune system resulting with frequent infections and illness. Stage two is a stage of “Chronic hyperactivity” or “Adaptation”. During this stage DHEA and cortisol remain high. Common symptoms are tiredness and desire to rest. High cortisol also can inhibit the metabolism of T4, a thyroid pro-hormone produced by the thyroid gland, into its active T3 form. This can create a thyroid hormone imbalance known as reverse T3 dominance which can further contribute towards your adrenal symptoms. This is the stage of “Chronic Adrenal Hypoactivity”or the continuation of the “Adaptation” phase. During stage 3 cortisol finally falls to low levels throughout most of the day just like DHEA leaving you with low adrenal function. Common symptoms are tiredness, fatigue, mood swings, sleep onset insomnia, thyroid hormone imbalance, altered glucose tolerance and blood pressure. Stage 4 is referred as the stage of ‘Exhaustion” or Neuronal Damage. Cortisol and DHEA-S levels during this stage are very low. Maintenance insomnia depression, exhaustion, diabetes, cardiovascular disease, degenerative disease, and cancer are common consequences. In order to determine which stage adrenal fatigue you are in and therefore what is the most appropriate treatment you will need some testing. We recommend a saliva test measuring DHEA and cortsiol levels four times throughout the day. The Adrenal Hormone Profile is an easy to use test kit and the samples can be taken in the comfort of your own home. Thyroid testing (T3, T4, reverse T3) is also highly recommended as previously mentioned adrenal fatigue may result with certain thyroid imbalances which further complicate fatigue symptoms. A few simple lifestyle changes, nutritional nourishment for your adrenals and some special herbs called adaptogens will help you obtain a much proper cortisol levels through the day. Turn off the TV – Especially in the evening. You’ll find that you can sleep better at night. Read a book instead. Dim the lights – When your eyes are exposed to lights your pineal gland (a tiny endocrine organ in your brain) will not secrete the melatonin you need for a good night’s sleep. Take a hot bath with Epsom salts before bed. Use essential oils, like lavender. Ask someone to give you a foot massage (aka foot reflexology) – when cortisol levels are up, you can be certain that too much energy has gone up into your head. A foot massage is a great way to calm down that excessive nervous energy in your head. Make a list of all the things you are grateful for – I’ve heard that Oprah Winfrey does this every night. We sleep better at night when we build energy during the day. Adaptogens are safe yet effective choices for building energy and fortunately they are abundantly grown in the earth’s garden. Adaptogens increase the general capacity of the human body to adapt to stress and they increase resistance to disease. They are not localised to a specific body organ but have a “normalising” effect (restorative rather than curative) on the imbalances caused by physical or emotional stress. Examples of physical and emotional stress would include depression, anxiety, noise and occupational tension, biological stress from infection, chemical stress from alcohol, salt and environmental toxins and even changes in external conditions such as high altitude, extreme climate or irregular day rhythms. The most influential herb on low cortisol levels is Licorice (Glycyrrhiza glabra). It can increase the amount of circulating cortisol by its effects on certain enzymes. Consequently, it is indicated for those states of adrenal exhaustion rather than during the first phase of adrenal fatigue. Ashwagandha – the herb that has been shown to increase energy and mental alertness during the day has also been shown in research to lower cortisol levels. Rhodiola has been used traditionally to promote physical endurance and longevity. This wonder herb may also help to manage fatigue, depression and impotence. The chemicals rosavins and salidrosides in rhodiola have a normalizing effect on increased cortisol levels. Korean Ginseng is a well-known herb that has been attributed to balancing hormonal levels and decreasing cortisol overproduction. This herb has been in use for thousands of years and is thought to combat many stress-related ailments. Other wonderful examples of adaptogens are Schizandra, Gynostemma, Astragalus and Rehmannia. 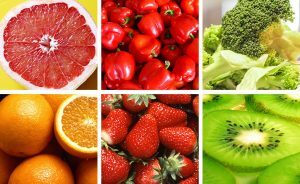 Vitamin C is the fuel that keeps your adrenal gland functioning. In fact, your body stores most if its Vitamin C in the adrenal glands. When under stress, there is greater potential to lose Vitamin C via your urine. To restore levels, aim for 2,500mg per day and then take at least 1,000mg daily to optimise adrenal and immune function. The B vitamins are all essential and a Vitamin B5 (Pantothenic Acid) deficiency causes your adrenal glands to shrink. Energy levels are also dependant upon adequate supplies of Magnesium and Coenzyme Q10. Magnesium is best absorbed in citrate form. The antioxidant CoQ10 is often low when cortisol is low. Aim for 150-300mg per day. The production of cortisol requires the amino acids Phenlyalanine and tyrosine. Quality protein supplements and dietary protein can assist here. Burning the Candle – Are You Adrenally Exhausted?